Eating spicy foods, particularly hot red chili peppers, linked to reduced risk of death from vascular disease. 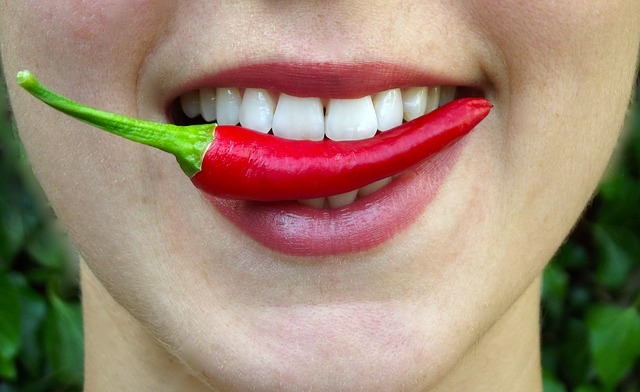 Are you one of those who enjoys the spicy burn you get when you bite into a hot chili pepper? Well, if you are, there is some good news for you coming out of a study by researchers at Larner College of Medicine at the University of Vermont. According to UPI.com, a team or researchers, using the data collected over a 23-year time period by the National Health and Nutritional Examination Survey (NHANES), found the persons who consume a lot of hot red chili peppers on a regular basis had a 13 percent reduction in total mortality. And the numbers were especially good when pertaining to heart attack and stroke deaths. The findings enforces the conclusions from a previous study that investigated the linkage between consumption of chili peppers and mortality in China back in 2015. “Although the mechanism by which peppers could delay mortality is far from certain, Transient Receptor Potential [TRP] channels, which are primary receptors for pungent agents such as capsalcin [the principal component in chili peppers], may in part be responsible for the observed relationship,” according to a press release from the University of Vermont, quoting medical student Mustafa Chopan and Dr. Benjamin Littenberg, professor of medicine at the school. “Activation of TRP vanilloid type 1 (TRPV1) appears to stimulate cellular mechanisms against obesity, by altering mediators of lipid catabolism and thermogenesis. Protection against obesity leads to decreased risk of cardiovascular, metabolic and lung diseases,” the statement continued. Despite the data involving over 16,000 individuals, of which almost 5,000 died during the follow-up period, the researchers say the study was somewhat limited with regard to how chili pepper intake could impact specific causes of death. However, the available data suggests the consumption of chili peppers was strongly associated with a reduced risk of death from vascular diseases. The findings from the new study were published in the online journal PloS One.